The buffet encompasses both contemporary and vintage styles thanks to the neo-classic finishes and the rounded and straightforward lines. 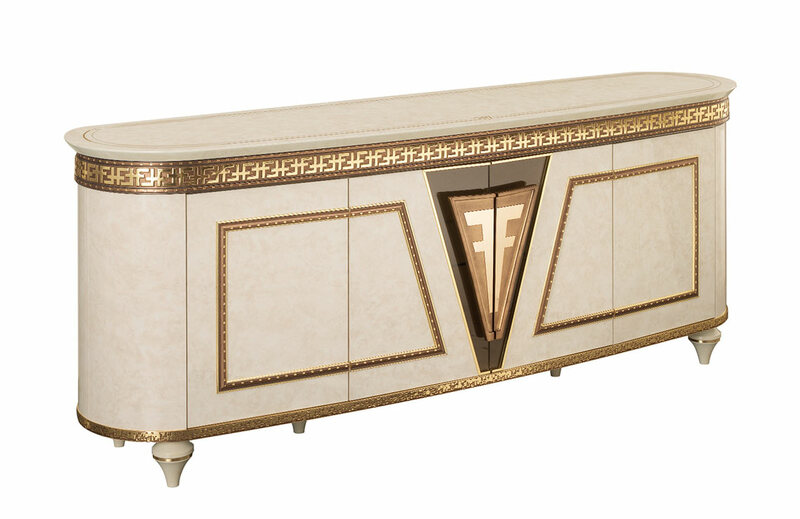 Decorative motifs blend elegantly in contrast with the characteristic lines of the sideboard and the straightforward structure of the table and hutches. Large Wall Mirror Mural "Fantasia"